A political party which seeks to avail of the exemption cannot be heard to say that it is not possible for it to maintain its accounts on a consolidated basis. As long as a political party continues to avail the exemption from payment of income tax, there can be no excuse for not maintaining its account whether it has one or more state units, the Bench said. 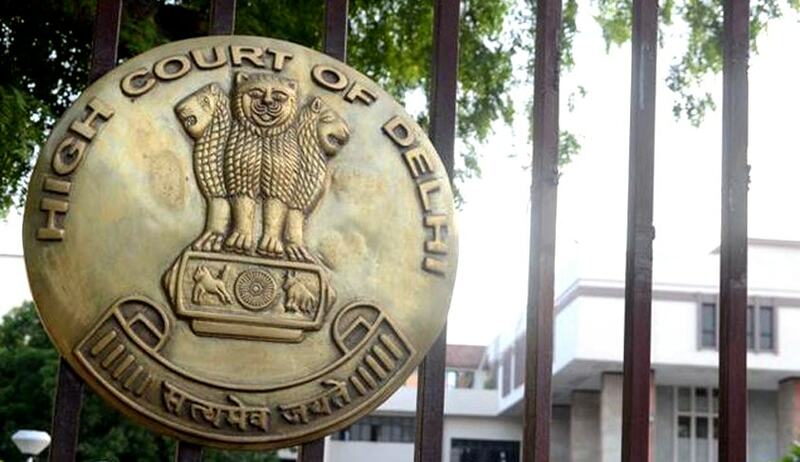 Delhi High Court has observed that proper auditing of the accounts of the political parties is both imperative and critical to the conduct of free and fair elections. Division Bench comprising of Justices S. Muralidhar and Vibhu Bakru, disposing the appeals filed by Indian National Congress and Janatha party against Revenue, observed that when the voluntary contributions received by a political party does not satisfy the requirement of Section 13A of the Income Tax Act - viz., maintaining books of accounts, keeping a record of voluntary contributions in excess of Rs. 10,000 and getting the accounts audited, such voluntary contributions would be included in the taxable income under the head "income from other sources”. The Court, in the case involving Indian National Congress, held that since the Assessee failed to place acceptable audited accounts, from which the Assessing Officer could deduce the taxable income of the assessee, the mandatory requirement of the proviso to Section 13 A of the Act was not fulfilled by the Assessee. For understanding and interpreting Section 13A of the Act, it would serve no purpose to compare it with Section 11 of the Act which applies to Trusts. Section 13A of the Act is not a computation section. Income by way of voluntary contributions would be excluded only subject to fulfilment of the conditions stipulated under Section 13A of the Act. It could never have been the legislative intention that voluntary contributions received by a political party that does not satisfy the requirement of Section 13A of the Act - viz., maintaining books of accounts, keeping a record of voluntary contributions in excess of Rs.10,000 (which was later increased to Rs. 20,000 with effect from 11th September 2003) and getting the accounts audited - would be exempt from tax. In such event, the income of a political party by way of voluntary contributions would be included in the taxable income. Voluntary contributions are not in the nature of capital receipts. Clause F of Section 14 of the Act is a residuary provision. An income which is not to be excluded from the total income and is not chargeable to income tax under heads A to E, has to be treated as 'income from other sources'. If the total income by way of voluntary contributions of a political party cannot be excluded from its total income because such political party has not complied with any of the conditions in the proviso to Section 13A of the Act, then by virtue of Section 56(1) of the Act, such income by way of voluntary contribution would be 'income from other sources' under Section 56(1) of the Act. Donations to a political party are for multiple reasons and is an act of participation in a democracy. The known tests for determining 'income' are, therefore, inadequate for determining whether the voluntary contribution in the hands of a political party is in fact 'income'. The requirement of maintaining audited accounts and furnishing those accounts in terms of the proviso to Section 13A of the Act is not merely directory. It is with a view to placing a check on the financial transactions of political parties that the proviso to Section 13A was enacted. In this context, the object of Section 13A of the Act will be defeated if the requirements of the proviso thereto are held not to be mandatory. The conditionality attached to Section 13A must be strictly construed. If a political party seeks exemption from payment of income tax in a given AY, it is incumbent on the political party to strictly comply with each of the requirements in the proviso to Section 13A. At the highest, the compliance has to be by the time the assessment is completed but certainly not thereafter. The Court also observed that political parties are an essential part of our democracy and are dealing in large sums of public money, much of which is unaccounted, the proper auditing of the accounts of the political parties is both imperative critical to the conduct of free and fair elections. The recommendations of Law commission should receive serious and urgent attention at the hands of the executive and the legislature if money power should not be allowed to distort the conduct of free and fair elections. This will in turn infuse transparency and accountability into the functioning of the political parties thereby strengthening and deepening democracy, the Bench said.